← Why Is Car Insurance Mandatory? When you arrange car insurance there are a number of decisions you need to make that will affect how much you will pay for your cover. For instance, you will need to decide what level of cover, if there will be any additional drivers on the policy, whether you require optional extras such as protected no claims bonus, legal cover and whether you wish to opt for paying a higher excess should you need to claim on your policy as a result of a road traffic accident or the theft of your car. A benefit in deciding to pay for a higher voluntary excess such as say paying an extra £500 towards the cost of any repairs is that it reduces the premium that you will pay either on an annual or a monthly basis. This may keep your premiums down but the downside is that if you do have to claim then you will have to find an extra £500 on top of the standard excess amount. That is fine as long as you can lay your hands on the money. However, if you do have to fork out an additional £500 but by choosing a voluntary excess of £500 meant that you only saved say £10 per month then you are going to be out of pocket by quite a sum of money. In which case, you will no doubt be wishing that you had not bothered to go for a voluntary excess of this level. 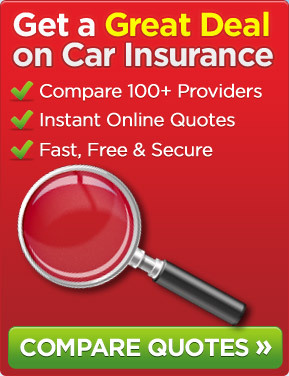 Obviously, it is difficult to know what to do best when it comes to making such decisions about car insurance. If only you had a crystal ball and knew what was going to happen in the next 12 months but you don’t and that is what insurance is all about – insuring against a POSSIBLE event such as a road traffic accident. Of course, you are no doubt aware that you have to arrange motor insurance as it is a legal requirement that unless the vehicle is declared SORN (Statutory Off Road Notification) and is kept off the public road system a minimum of third party cover is in place. As with many things in life, the decision has to be yours when taking out car insurance as to whether you agree to pay a high voluntary excess. This entry was posted in News and tagged car insurance, Car Insurance Premiums, High Voluntary Excess, Voluntary Excess. Bookmark the permalink.